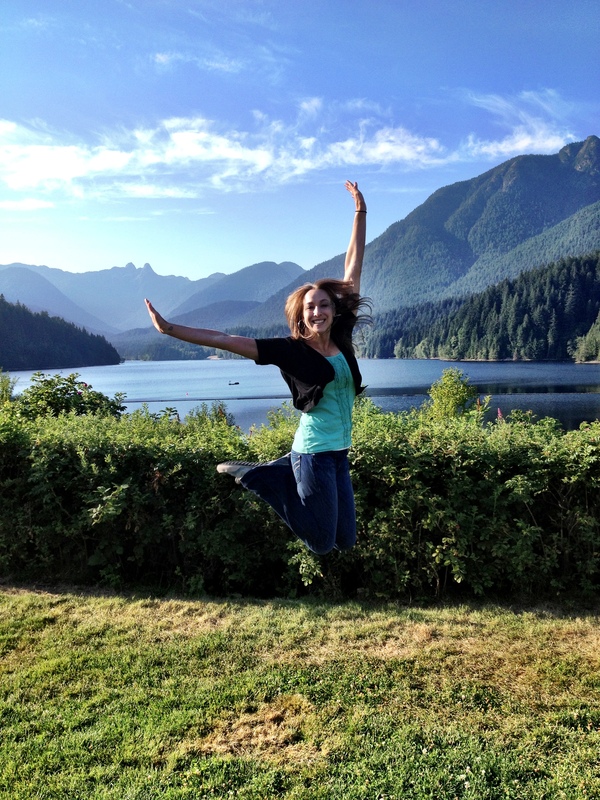 When the opportunity arose to travel to Vancouver for work, I JUMPED at the chance! With less than 72 hours in this fabulous city, I had to make every minute count. Luckily for me, a 5:45am sunrise and 9:00pm sunset left much time for exploring (even after a long day at the office)!! 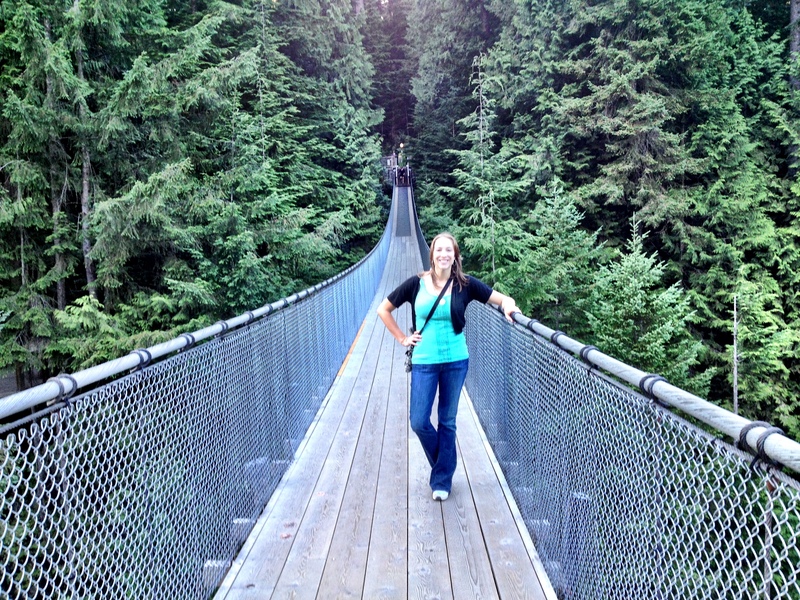 I had heard a lot about the Capilano Suspension Bridge, so it was top of my list. My coworker and I arrived at park open and had the opportunity to explore the park all to ourselves! The current bridge is 460 ft long and 230 ft above the river. And it swings and sways! They say that the bridge could hold up to 96 elephants. There are also reports that in 1999 a woman dropped her 18 month old baby off of the bridge and the baby survived! Crazy! 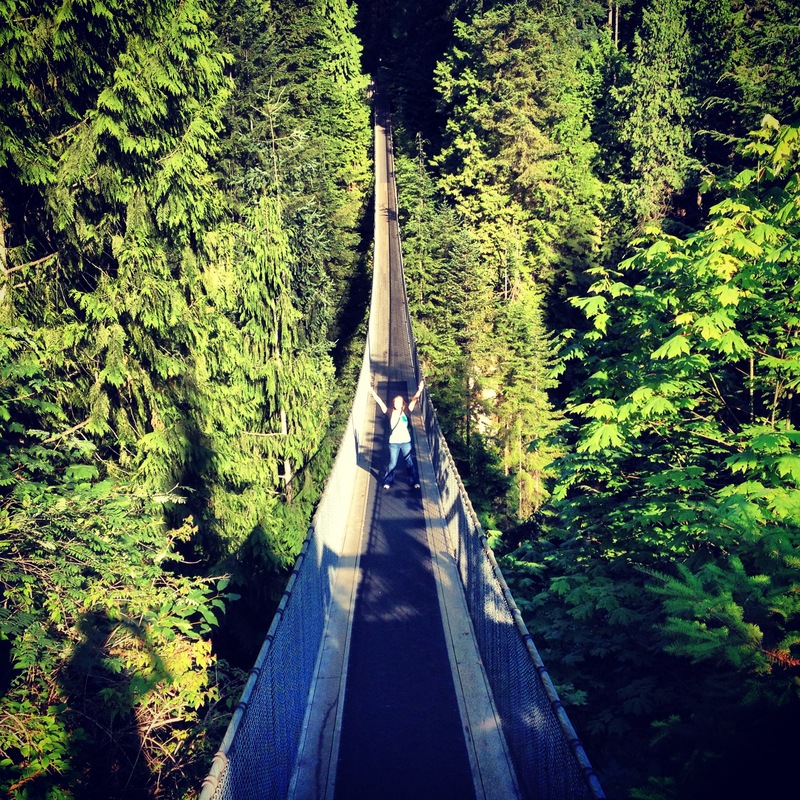 The Capilano Suspension bridge is a sight that shouldn’t be missed. In just a short drive from the city you find yourself entering a world of escape and enchanted forest. 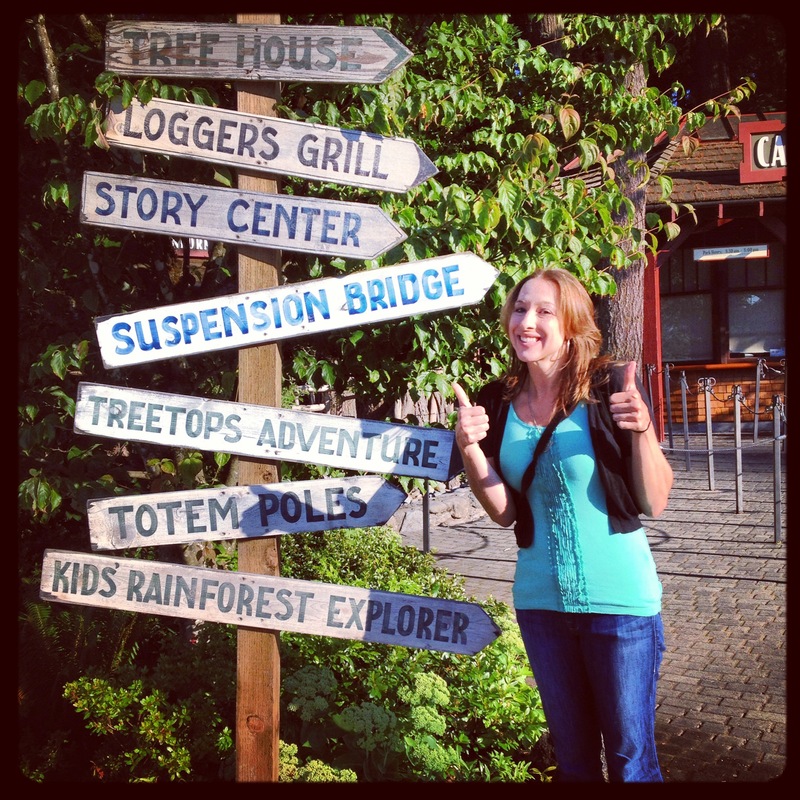 I had an great time exploring the tree walk, cliff walk, and other nature trails in the park. 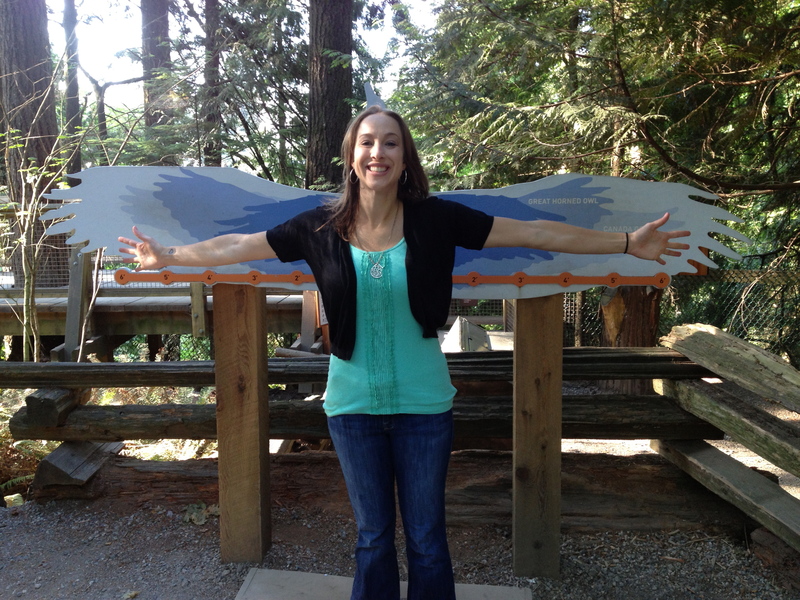 And learned that I have the wingspan of a Canadian Goose… Long arms! 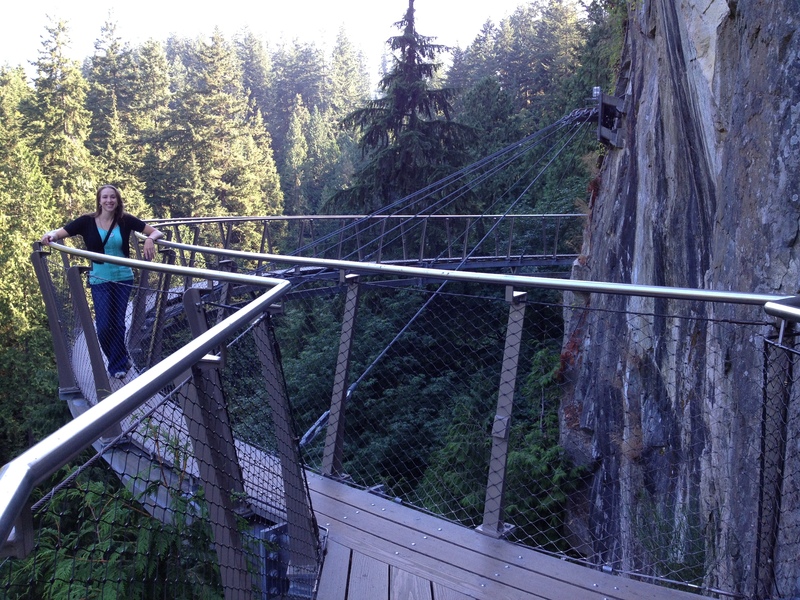 Our next stop was the Cleveland Dam, just up the road from Capilano. I am so amazed at the beautiful parks and hiking areas within minutes of the city. Summers in Vancouver are truly glorious! I can’t wait to return.